Yes! 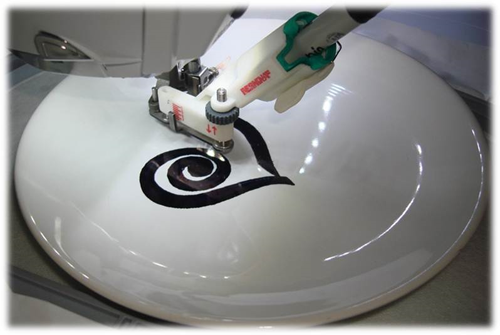 You CAN “embroider” a plate! 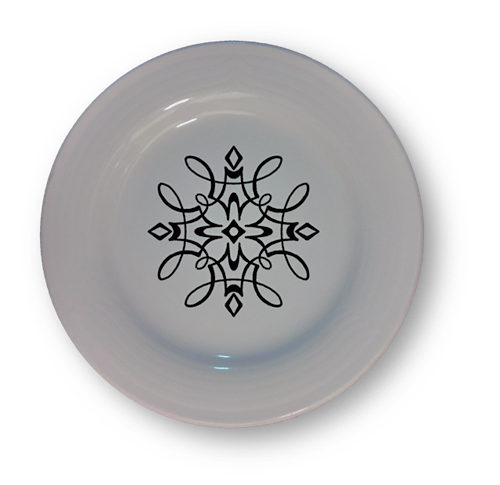 This fancy plate was made with everyday Sharpie permanent pens and the BERNINA PaintWork Tool. The ink can be made colorfast by baking the plate in the oven at 350 degrees for 30 minutes. I have great luck hand-washing them with soap and water (do not use harsh abrasives). Hoop a piece of OESD StabilStick stabilizer, then score and remove the paper to reveal the sticky surface below. Press your plate (or tile) to the surface to fix it in place. 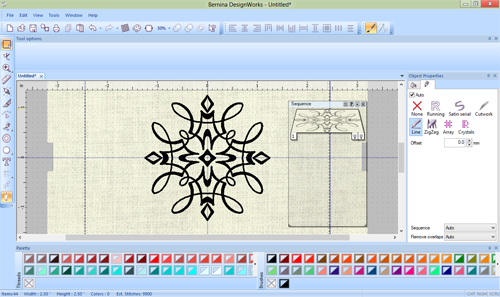 Load the PaintWorks design of your choice on your embroidery machine. 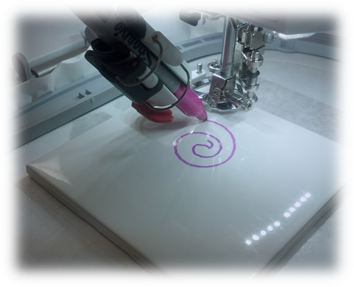 Set up your machine with the PaintWork Tool following the instructions included in the package, and insert a Sharpie Permanent Marker. “Embroider” your plate, following the on-screen prompts. When finished, remove the plate from the stabilizer. Repeat as desired, re-using the same sticky stabilizer (until it’s no longer sticky). This is too much fun!!!!! The technique also works for ceramic tiles; they make great trivets! I wish I was doing something wonderful for Christmas with this new tool but we can’t get it. Why post projects that just make me disappointed?